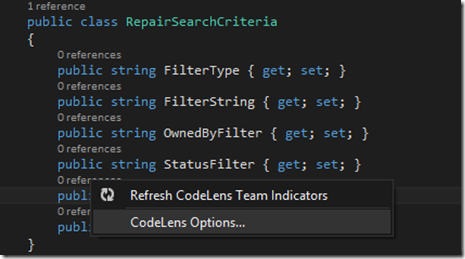 One of the new features of Visual Studio is the ability to automatically see statistics about your code while you are looking at it via a new feature called CodeLens. For example, you can see how many method calls are referencing your method, how many bugs and what tests are accessing the method. While this information can be helpful when reviewing code, it sometimes gets in the way when writing it. For example, you can’t just click the 0 references line and start adding attributes and comments, you have to add them in a blank line above the CodeLens injected text (included as images here because you can’t copy and paste the CodeLens text). 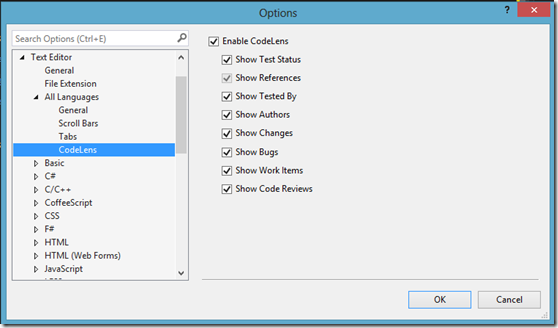 If you don’t want the CodeLens information getting in the way, simply right click one of the tags and select CodeLens Options. 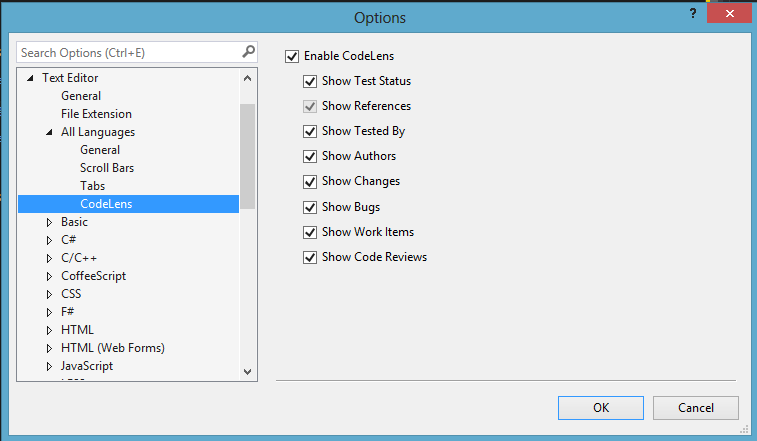 Alternatively, in the Quick Launch window (Ctrl+Q), just type CodeLens to find the menu in config. 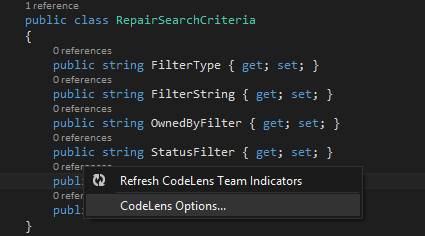 From here, you can tweak which values are displayed inline with your code or disable CodeLens entirely to get it out of your way while writing code.